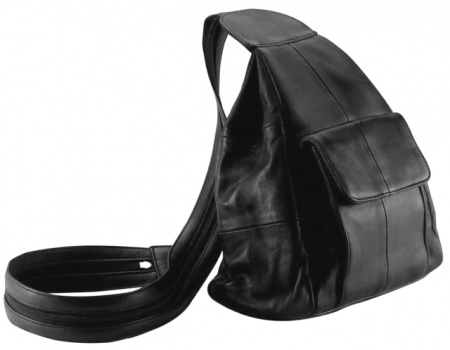 Solid Genuine Leather Hobo Sling/Backpack Purse, This innovative purse design allows you to carry it as a stylish Hobo Sling or, by unzipping the strap, it converts into a backpack! The luxurious leather purse has a side zippered opening, 190D nylon lining, outside zippered pocket and one outside snap pocket. Measures 7-1/2" x 14" x 5-1/4".